Good question. 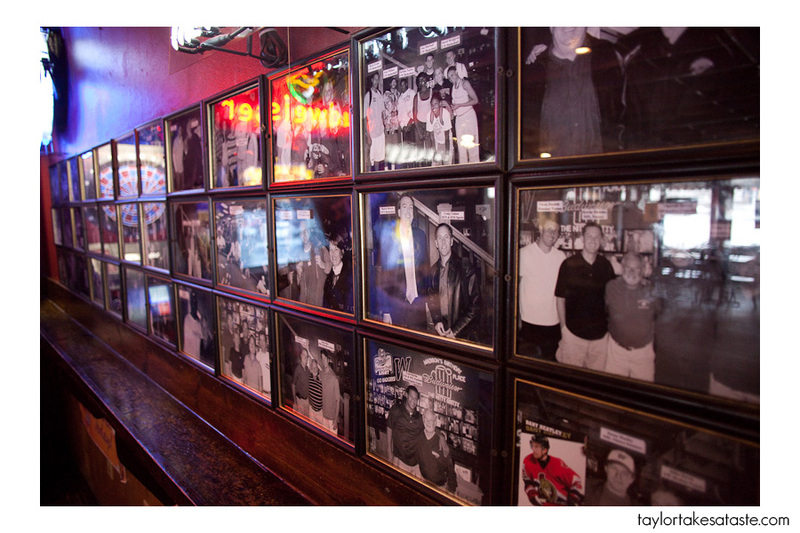 When stepping into the Nitty Gritty you will see hundreds of black and white photos covering the walls. It quickly becomes evident that a lot of birthdays have been celebrated here. The Nitty Gritty serves great burgers and fried cheese curds ( remember cheese curds), but in my opinion what makes it so unique is what happens when it is your birthday. 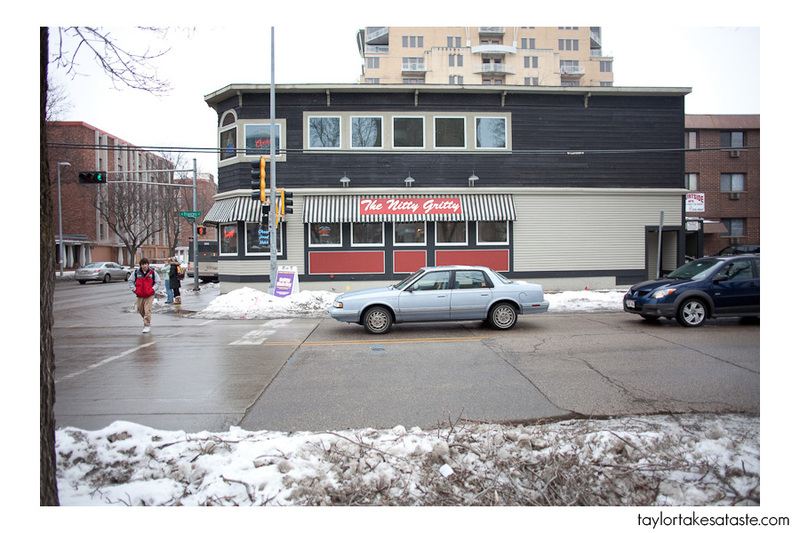 On a side note, my almost 6 year relationship with fried cheese curds began at the Nitty Gritty. 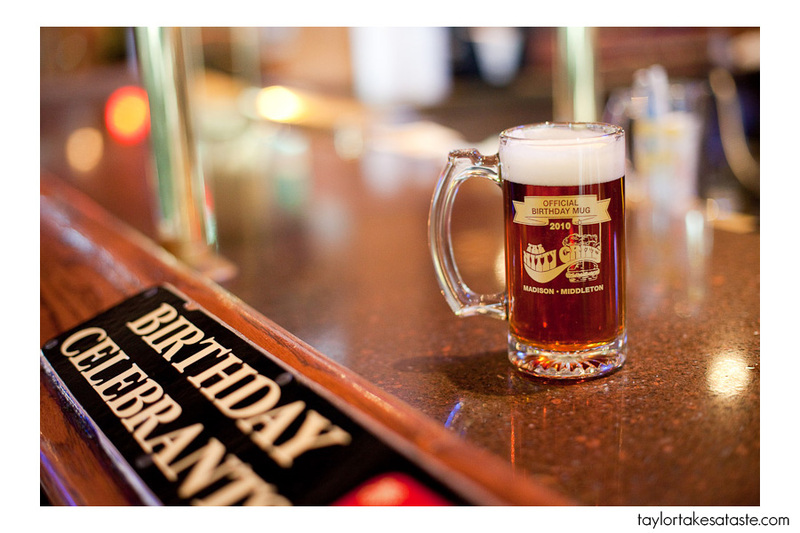 On your birthday, you get a free glass mug (balloon attached) with unlimited refills of your choice of beer ( soda if you prefer or are celebrating your 2oth Birthday and under). The glass mug contains The Nitty Gritty logo and the year. The color of the logo changes every year, with this year being yellow. In addition to the mug, you get your name written on a sign behind the bar, and a card for one free birthday sundae every month for the next year. 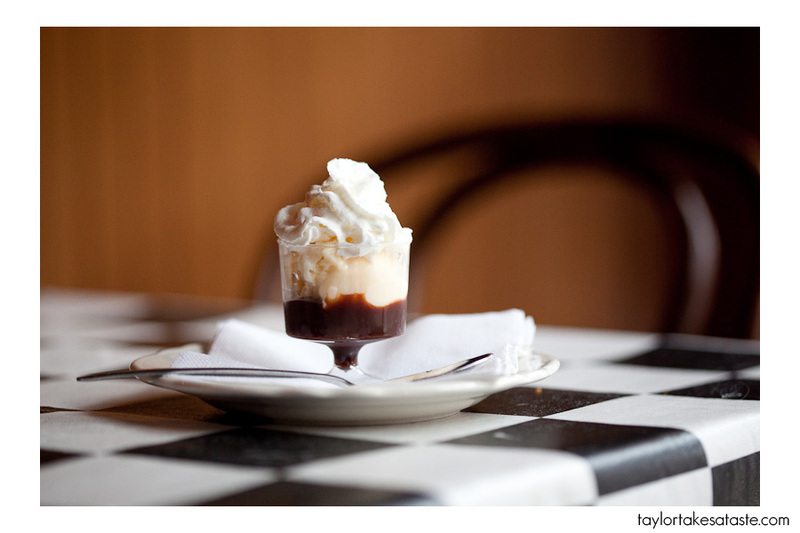 The birthday sundae is vanilla ice cream and hot fudge served in a shot glass with whip cream on top. If you are in Madison and it is your birthday The Nitty Gritty is the place to be. Even if it is not your birthday it is a great place to get some cheese curds and hang out, after all there is always a birthday party going on there! 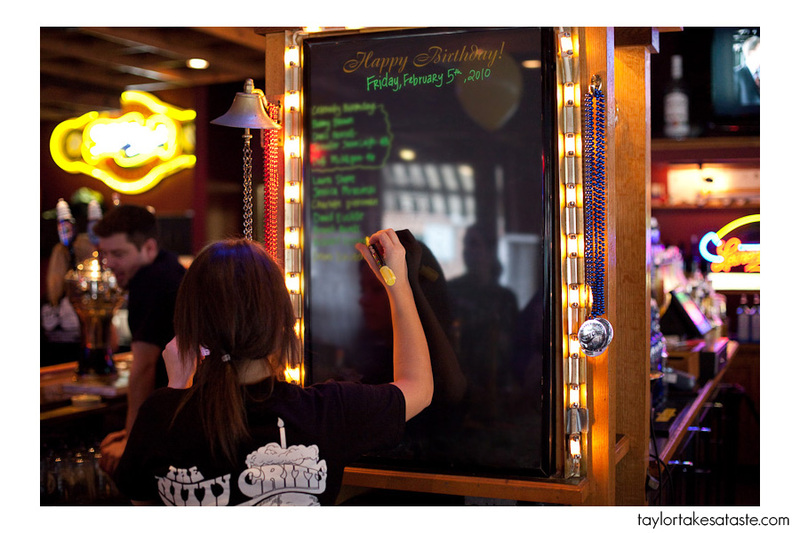 Wow, unlimited refills on beer for your birthday? That’s awesome! I’d be offering to take all my friends there on their birthdays. Haha. The best part is the balloon, though. Who doesnt love drinking a beer out of a mug with a balloon attached? Happy Belated Birthday (assuming it was your birthday)!